Blog Feed - "Where We're Headed"
We’re excited to introduce our newest changemaker: Applegate President John Ghingo! Did you think it’s fair to label a package of bacon as organic if it was sourced from a farm where pigs are kept in crates? Yeah, we don’t either. In June 2015, we removed GMO ingredients from all of our products. In 2016, we went a step further: promising to take GMOs out of our entire supply chain and seeking third-party verification for all of our products. Thirty years ago, Applegate was founded on the simple premise of, “What if you weren’t afraid to read a hot dog label?” This bold question became a mission: Changing The Meat We Eat®. 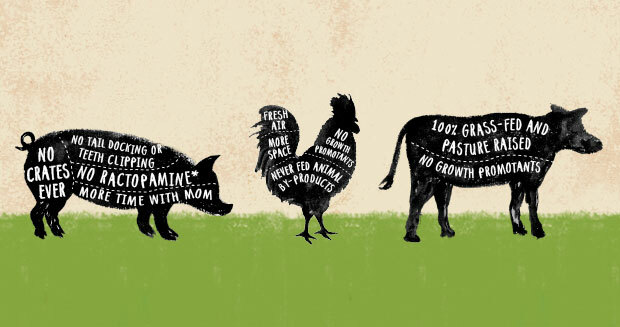 Our natural and organic 100% grass-fed beef hot dogs are officially verified by the Non-GMO Project.